This traditional style free standing fireplace with Coal Burner effect with black and chrome finish is an ideal Heater for use all year round with two heat settings (1kW and 2kW) and Optiflame technology for a real Authentic Stove Feel. The Detroit fireplace features heat and flame effects without the mess of a traditional stove. With lighting effects, low sound output, and that real fire warmth, the DTT20 is as close to the real thing as it gets! 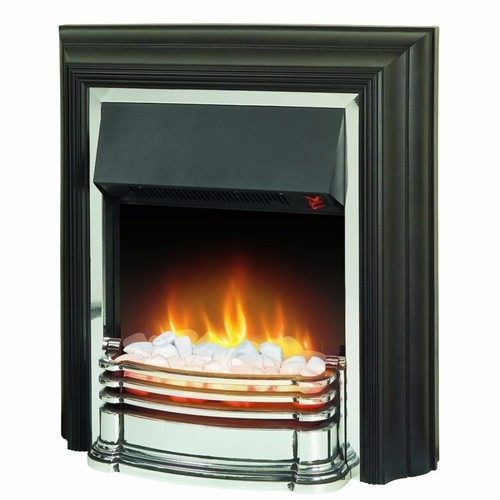 Does the Dimplex Detroit 2kw Freestanding Optiflame Electric Fire £159.95 come as a brass finish.